WATCH: Pacquiao-Mayweather stare down at the final press conference - Balita Boss! At the Mayweather vs. Pacquiao press conference, Floyd Mayweather and Manny Pacquaio squared off in Las Vegas. Manny Pacquiao and Floyd Mayweather strike a pose and stare down at the final press conference of the "Fight of the Century." 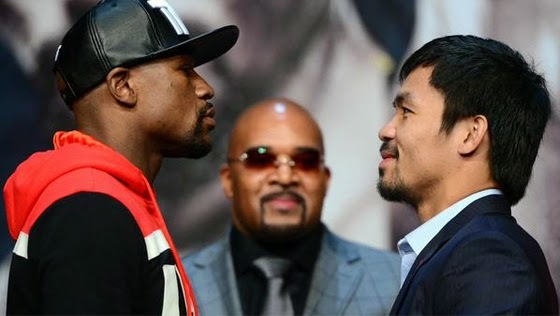 The much-anticipated boxing match happens on Saturday, May 2, at the MGM Grand in Las Vegas.